Here are some simple ways EFT can assist you in making the process of success visualization work for you. First, I need to point out that it isn’t essential for you to be able to actually get an image for this process to work for you. 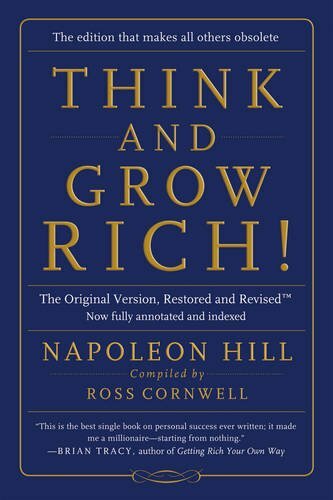 The most important thing, according to Napoleon Hill who wrote the classic book, Think and Grow Rich, is to feel the feeling of success - to feel what it will really feel like when you have achieved your goal. For those who do visualize (think in pictures) easily, the basic strategy involves creating a mental image of yourself succeeding, then putting yourself “in the picture” looking out at the world through your own eyes, and feeling how it will feel as if you are feeling it right now. Typically, the clearer your picture of future success, the stronger will be the feelings. For those who don’t visualize easily, whilst you can learn to visualize more effectively (and tapping can help), the main thing for now is to “get a sense” of how it will feel being there having already achieved your goal. A quote by best-selling author, Mark Victor Hansen, might help to explain what we are after here. He says “Don’t think of your goals, think from your goals.” I would add the word “feel” to his quote – i.e. Think AND feel from your goals. 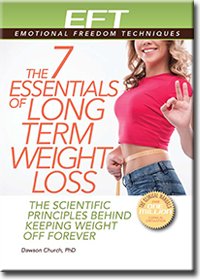 Now this is where EFT comes in because when we have set ourselves a big goal there is often a great deal of internal resistance to being able to access the feeling(s) and get into the success image. One simple yet very powerful way to proceed is to hold in mind the intention to connect with the feeling of success whilst continually tapping on the points. I call this simple process “Connecting with Success”. The idea is to think of the success in the future that you are seeking, then mentally “step into it”, and keep tapping whilst holding the intention to connect with the success feelings. As you do so, you should start to find it easier and easier to connect with the feelings of success, as the blocking thoughts and negative feelings are naturally released by the energy tapping. 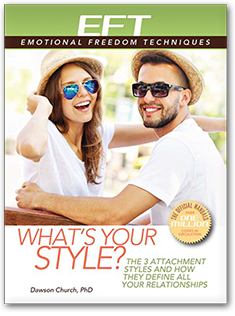 Another way of applying EFT here is to work on the specific inner resistances that arise when you try to connect with your goal image and access the feeling of success. What are the negative feelings that arise when you try to get into the future goal image? Tap on those feelings. What are the negative thoughts that come up? Specifically, what are the objections that come up in your mind when you try to think from your goal, when you try to “go there” in your mind? Now do some tapping on those thoughts by simply repeating them in your mind or out loud as you tap on the EFT points. In EFT, these thoughts are called “tail-enders” because they are often “attached” to our positive affirmations or success visualizations. The next step is to identify specific past events where you learned these limiting beliefs. This is where you learned that success is not possible for you, or that you are not that kind of person, or that you are not good enough, or whatever other limiting belief is coming into your mind. Now you can treat those past events with EFT using the Tell the Story or run The Movie Techniques. This involves running the event through your mind like a movie (or “telling the story”), and tapping on any intense emotions that arise. In particular, hone in on any intense parts of the memory and the thoughts and feelings that arise, freezing the images and continually tapping until the emotional intensity comes down. Continue through the entire memory, and until you can go through the entire incident in your mind and the intensity is way down, or at a zero level. Now return to the process of success visualization and notice how much easier it is to connect with the success feelings now you have cleared some of the mental barriers out of the way. Step 1: Start by thinking of your goals. Step 2: Then step into your goals in your mind. Step 3: Form the intention to connect fully with how that will really feel. 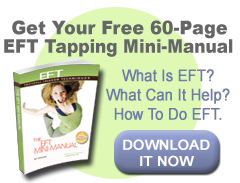 Step 4: Tap continually on the EFT points as you hold the intention to access the success feelings. Step 5: Enjoy the feelings of success knowing that as you access those success feelings, in that moment you are successful! Those who do this simple success visualization and tapping process on a daily basis typically report that the clarity of their mental images improves, as does their ability to connect with the success feelings. Ultimately, the quality of this connection improves so that they can literally feel the feelings as real. Not only does the goal itself become more real but it actually feels more achievable! Ultimately, an internal shift occurs where you realize that “It is done” … the goal is now guaranteed and it’s just a matter of ‘awaiting delivery’”. What is happening here is that we are literally “getting comfortable” with the idea of being successful, removing the barriers to manifesting our intentions, and allowing ourselves to open up to the attractive creative force that enables success to happen. And EFT is a powerful tool for accelerating our progress.